When you bring your vehicle into Cerritos INFINITI, you can be certain your INFINITI is in good hands. With expertly trained technicians, no one knows your INFINITI better than we do. We also offer genuine INFINITI parts. These are the only parts specifically designed to optimize the performance of your vehicle. From routine maintenance to repair, we are here to care for your INFINITI throughout your ownership experience. Our knowledgeable Parts Department at Cerritos INFINITI can help you with replacement parts or new accessories to personalize your INFINITI. We carry only genuine INFINITI parts. Cerritos INFINITI regards the safety and security of our customers and their families as extremely important. To learn if your INFINITI has been identified for specific service campaigns or recall actions, please retrieve the vehicle’s identification number (VIN) and click here. 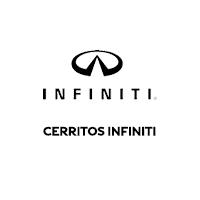 When it comes to your INFINITI, no one knows it better than our expert technicians at Cerritos INFINITI. Our extensive experience and advanced diagnostic tools allow us to provide the best possible service.